An Indigenous-owned and operated civil and concrete builder has won a contract at an iron ore mine in Western Australia’s Pilbara region. Baru Group recently secured work on the stackers and conveyors upgrade at Rio Tinto’s Brockman 2 Mine, 60km northwest of Tom Price. The deal involves carrying out earthworks and structural upgrades to the stacker rail sleepers and conveyor foundations for the rest of the year. 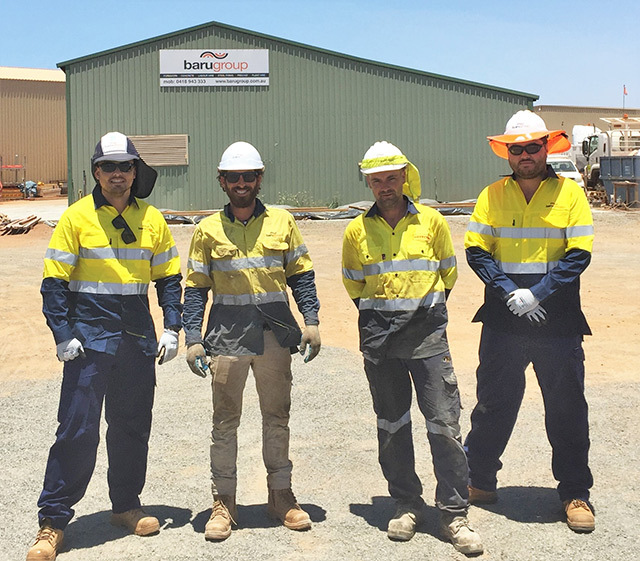 Baru is the 100th company to find work through Rio Tinto’s Local Procurement Programme, which was set up in 2017 to increase supplier opportunities for local businesses. “In winning this tender, Baru provided a detailed and accurate proposal, which demonstrated a solid understanding of the scope of work, construction methodology and the requirements to work safely around the live plant,” Rio Tinto Iron Ore managing director Pilbara Mines Stefan Buys said. Tallon revealed the portal has been her secret weapon in finding new opportunities at Rio. “[It] shows us what jobs are coming up and provides us with enough information, so that we can do our own investigation into whether we can be cost competitive as well as if the scope of works are within our capabilities,” she said. The programme features an online local procurement portal that help removes the mystery of upcoming work and maximises business opportunities to join Rio Tinto’s supply chain. “The programme is gaining momentum and we have now received more than 3000 expressions of interest from suppliers for work published on the online platform,” Buys said. The local procurement portal can be found here.